Our patients are prone to drug and alcohol misuse so correctional nurses need heightened awareness of withdrawal potential for all who enter their facilities. According to authorities, more than 65% of inmates meet criteria for drug abuse, alcohol dependence, and addiction. There are also significant concerns about deaths while in custody related to drug and alcohol withdrawal. Of the two, alcohol withdrawal has significantly higher concerns but withdrawal from opiates and depressant drugs can also cause problems. Intake assessment of withdrawal potential is critical for good care. 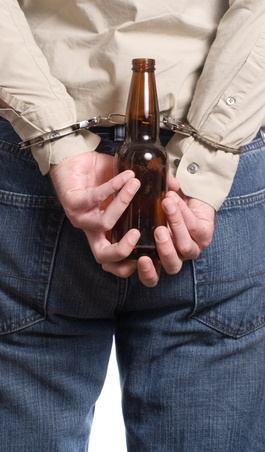 CAGE is a standard evaluation of alcohol intake that can quickly determine if withdrawal is likely. Two positive responses are considered a positive test and indicate further assessment is warranted. E – Eye opener: Have you ever had a drink first thing in the morning to steady your nerves or to get rid of a hangover? Do you currently use any type of alcohol or drugs? If “no”: has the individual used in the past? Date and time last used? What do you use to evaluate for alcohol withdrawal potential? Share your tips in the comments section. This entry was posted in Withdrawal and tagged Alcohol withdrawal, correctional nursing, Essentials of Correctional Nursing, Intake Screening, jail nurse, Lorry Schoenly, Patient safety, prison nurse, Standards of Practice. Bookmark the permalink.